What spring wreath are you making this season? 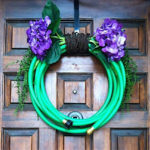 The cold season has come and gone, and it’s time to celebrate the warm season with spring wreaths. Take out the drapes, store throws and fluffy rugs, and decorate your home anew. One of the best ways to decorate your home is by hanging a wreath – it adds vibrancy just by being. Make one or several and brighten up your home for the warm weather. 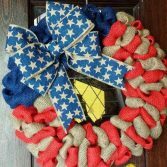 After you are done, hang your wreaths anywhere around the home – on the front door, the garage door, the mantel, or on a window. Here are our best spring wreath ideas. These outdoor or indoor wreaths perfect for welcoming people into your home. They also usher in spring beautifully. You can display them from the beginning of spring up to the end of summer. Since it was invented, deco mesh has never gone out of fashion. 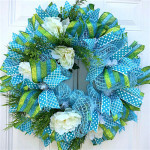 The best thing about deco mesh door wreaths is that they require inexpensive supplies and are easy to make. Here’s a wreath tutorial to make your work easy: How to Make a Deco Mesh Wreath. 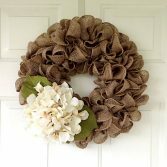 A burlap spring wreath can show off your love for spring. If you’ve been updating your interior and exterior, it can help you to complete the project. Burlap is easy to work with and adds a rustic touch to any space. 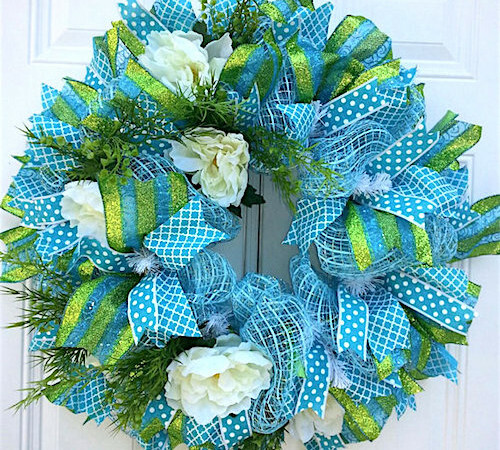 It is also highly durable which means you won’t have to get rid of your wreath soon. 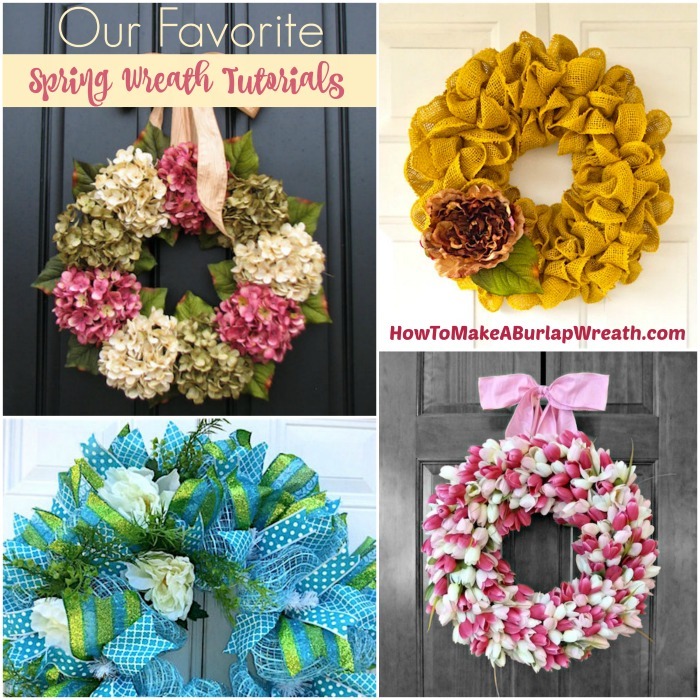 For the best outcome, follow the directions in this post: How to Make a Spring DIY Burlap Wreath. 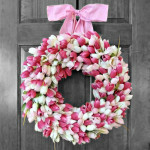 A flower wreath is perfect for spring! Flowers, where would we be without them? They liven up our homes, add fragrance, and even improve our mood. They look good indoors and out and help us to appreciate the goodness of Mother Nature. Since spring is personified by flourishing flowers and pulsating colors, make a floral wreath and welcome guests into your home uniquely. 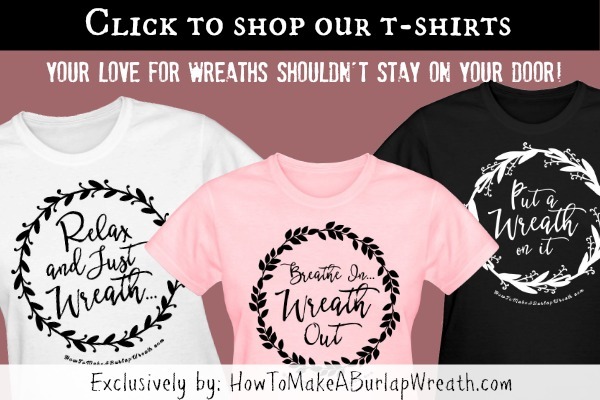 Choose your favorite flowers to give the wreath a personal touch. 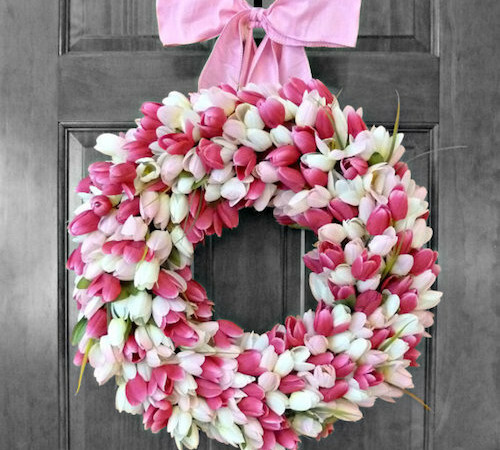 If you love tulips, recreate this wreath: How to Make Pretty Tulip Door Wreaths. Our hydrangea spring wreath tutorial is perfect with faux hydrangea blooms or with live hydrangea flowers. Spring Wreath Ideas: How to Make a Hydrangea Wreath tutorial is great to display throughout the spring and summer months. 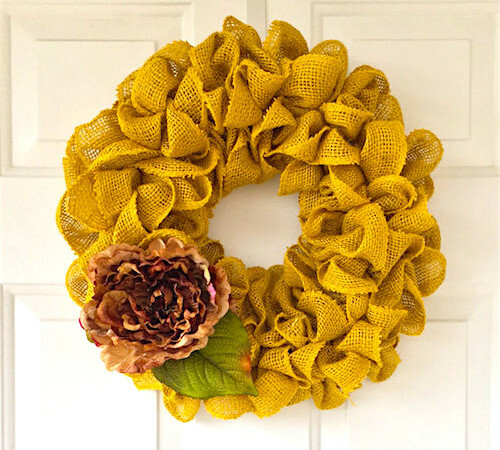 These spring wreath ideas will help transform your home from drab to fabulous. Spring is the season of vibrant colors, and your home should show off the beauty of the season. 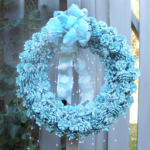 Make a wreath in your favorite color and stop traffic and passersby. 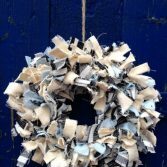 Now that the weather is getting warmer which spring wreaths ideas will you be trying?